In order to be able to create and operate CSP Hosts in my.pascom.net, you must be a CSP partner. Please contact our sales team to receive further information. CSPs are pascom partners who want to add a pascom Hosting offer themselves. The pascom server is multi-tenant and multi-host enabled and therefore is the ideal platform for Hosted Service Providers. As a CSP you can deploy any number of CSP Hosts. Each host can then manage up to 32 phone systems (separate customers). * Calculating disk storage capacity is based on an average usage. In particular, call recordings can significantly impact storage requirements. Please calculate an additional 1 MB per 10 minutes of recordings.
. You can add as many CSP hosts as you wish. CSP hosts are not associated with any additional costs. For the installation of the CSP host, please download the pascom Server ISO 18.5 or higher from our website Downloads pahe. Follow these steps BEFORE you deploy and start the first phone system. Later changes are possible, but will result in changes for your customers. This step in necessary so that your customers can use the mobile client app (iOS/Android) or the desktop client. Should a minimu of one CSP Host be setup you can add FREE-, BASIC- and PREMIUM subscriptions for your customers and start the corresponding phone systems. 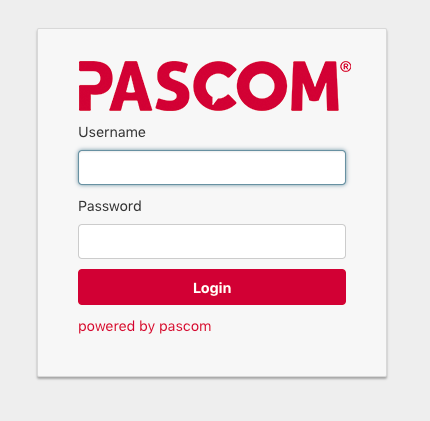 You will now be redirected to my.pascom.net where you can add a new subscription for your customer. Back on the CSP host, a job will automatically start to update the subscription. After a few seconds, the newly added subscription will appear under the phone systems and can now be setup for your customer. During the process, you will have the option of selecting your CSP host instead of the pascom.cloud or an on-site installation.